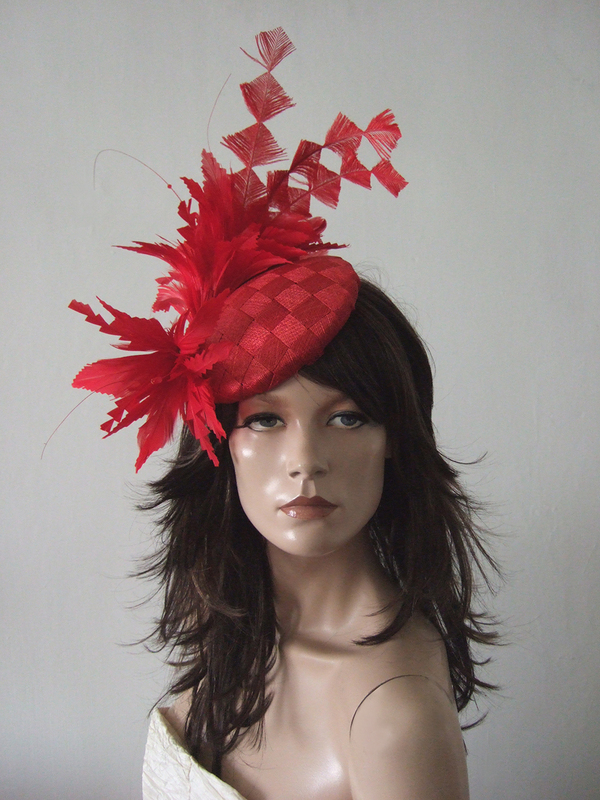 This is a check weave, sinamay smartie headpiece hat, with a big mount of scarlet red ostrich, goose and coque feathers, and Swarovski Crysals. Worn over the right side of head. Moden fashionable smartie headpiece, cocktail hat design. Fits all heads, attached by invisible elastic and comb to secure. £35.00 per day, plus £100.00 deposit refunded on return. Height of feather arrangment, 13".